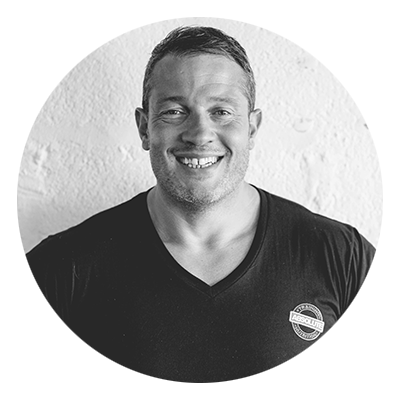 Hello I’m Wayne, the owner and founder of Absolute Training and Nutrition. I have been a Personal trainer in Barnstaple, North Devon full time in the industry for over 10 years. Previously I was a qualified critical care nurse. My passion for helping people understand health and its effect on life is one reason I became a PT. My passion for nutrition and over 20 years of studying nutrition, is one of the reason we get the results we do. My passion is empowering people to take control of their own health to make the right decisions for them. Helping people become stronger, fitter, better. It’s a privilege for us as coaches to be a part of peoples amazing transformations and their journey. Having helped hundreds of people reclaim the health fitness and bodies, has been incredible. When people come to us because they are tired of everything else just not working, and you can tell they are just frustrated and feel like they are beyond help, and within a few weeks they are feeling and looking amazing, then turn to us and say thank you for helping me, that right there is priceless. What is my favorite type of training? To be honest I love it all. If I was pushed to choose an absolute favorite I would go with weights. I have always believed that you drop fat in the kitchen and weights and exercise shape the body. What is my favorite cheat meal? My favorite cheat meals, that’s difficult. I like really good food. I’m a bit of a food snob so if I’m going to cheat It will be while out with my wife in very nice restaurants. I’m not a fan of takeaways or things like that, its not just about how unhealthy they can be, i have never really been a fan. I have a little obsessive compulsiveness, OCD. Certain things can really mess with my mind.